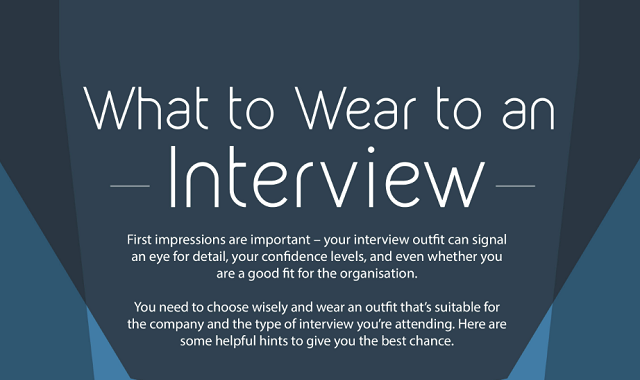 What to Wear to an Interview #infographic ~ Visualistan '+g+"
First impression are important - your interview outfit can signal an eye for detail, your confidence levels, and even whether you are a good fit for the organisation. You need to choose wisely and wear an outfit that's suitable for the company and the type of interview you're attending. Here are some helpful hints to give you the best chance.